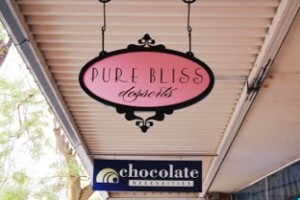 Decorative confections are displayed in the window at Pure Bliss Desserts. 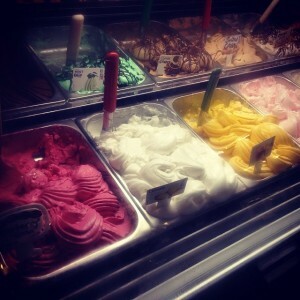 For some folks, ice cream or gelato is the only way to go. For others, there must be rich, creamy chocolate. Maybe your sweet tooth screams for cookies or cake. Whatever your sweetness weakness, Bellingham has you covered. But sometimes you just want to pop in for a quick dessert. Maybe after you’ve already served up supper at home but everyone’s taste buds are in need of a little treat. Or while you’re out running errands and need a boost to keep you going. Any of these following fantastic places fit the bill for taming your sugar craving. Pure Bliss Desserts. The name says it all. 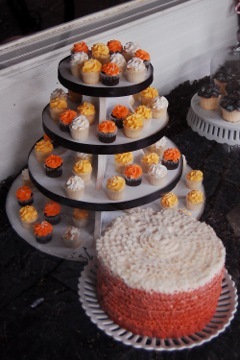 Not only does Pure Bliss Desserts serve up scrumptious cakes, cookies, cheesecakes, tarts, tortes and more, but they also do so in a stunning setting. Grab your goodies and then snag a seat on the pink velvet couch in the front window, if it’s vacant. Voted best dessert three years in a row by “Cascadia Weekly” readers, Pure Bliss creates everything from scratch on-site, using local ingredients whenever possible, in small batches, which equals high-quality treats you won’t find anywhere else. You can find Acme Ice Cream at a slew of local grocery stores and eateries – from our Community Food Co-ops, Everybody’s Store and Elizabeth Station to Keenan’s at the Pier, Chuckanut Manor, Il Caffe Rifugio, and more. But sometimes you’re downtown or in Fairhaven and the desire to have someone dish up a perfectly round scoop of Acme Ice Cream hits. And when it does, Rocket Donuts is there for you. Bonus: If you show up late enough in the day, you can also get donuts marked down to ridiculously low prices. One can never have too much sugar, can they? 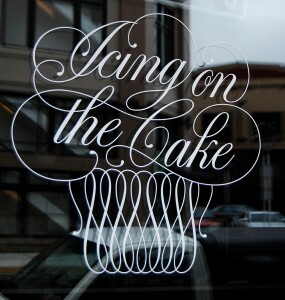 Who doesn’t love a little Icing on the Cake? Offering gluten-full and gluten-free cupcakes in an array of appetizing flavor combinations, downtown Bellingham’s Icing on the Cake puts delicious desserts right in the palm of your hand. You’ll also find Icing on the Cake at the Bellingham Farmers Market. Daily flavors include the usual decadent delights: chocolate, vanilla, red velvet, tiramisu, and so on. You can’t go wrong with any of them. Looking for something off the beaten palate-pleasing path? Specialty flavors and seasonal favorites include lemon coconut, toasted toffee, gingerbread, banana caramel, and so much more. A downtown Bellingham institution, Mallard Ice Cream scoops up some of the best ice cream in town. Period. They also set up summertime shop at their Mallard Ice Cream Stand located outside the Cordata Community Food Co-op. Mallard uses as many fresh, local, organic ingredients as possible – from berries to coffee – and hand-process produce to control quality and freshness. They avoid artificial flavorings and also churn their ice cream using the old-fashioned ice-and-salt method. Many years ago I got a behind-the-scenes tour of Chocolate Necessities – back when their sole location was out on the Guide – from founder and artisan chocolatier Kevin Buck. I never looked at chocolate the same way again. You can now enjoy Chocolate Necessities’ unbelievably tantalizing treats at their downtown shop on Cornwall, as well as gorgeously displayed swirls of gelato that taste as heavenly as they look. Speaking of gelato, if you’re in Fairhaven and find yourself hankering for the traditional Italian treat – head straight to Sirena Gelato for handcrafted gelato made from old-fashioned recipes. Gelato is made with whole milk rather than heavy cream, meaning lower fat content and fewer calories than ice cream. You can also order fat-free, dairy-free sorbets, which are made with seasonal fruits, whenever possible. 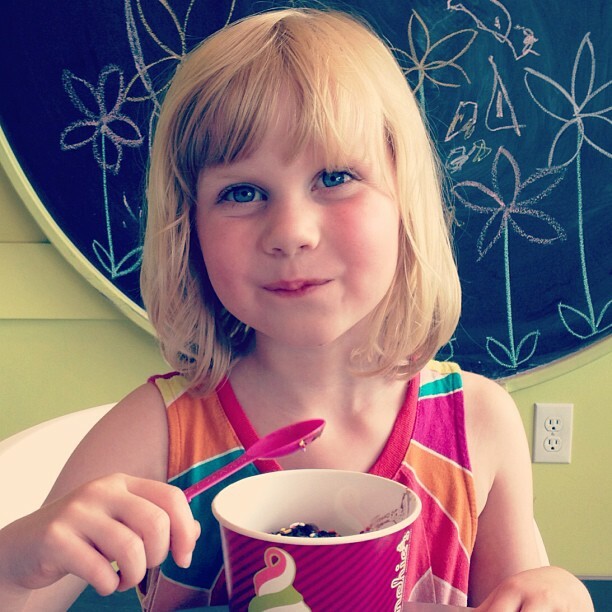 Swirl flavors together and add toppings to create your fro-yo masterpiece at Menchie’s. My kids love Menchie’s. How could they not? You get to choose (and swirl your own) frozen yogurt in a variety of yummy flavors, and then cover it with nearly every imaginable topping. Keep it simple with a dusting of crushed candy bar and a little hot fudge – or go batty and hide your “frogurt” under a mountain of candy, fruit, chocolate and sauces. Fun new flavors every week mean there’s always a new combination to craft. Have you tried Mount Bakery’s chocolate truffle cake? Mount Bakery has long been an obsession in my household. From its early days when it occupied just part of the current downtown space, through expanding there, and then opening its Fairhaven spot, this is where we run for our favorite birthday and anniversary dessert. 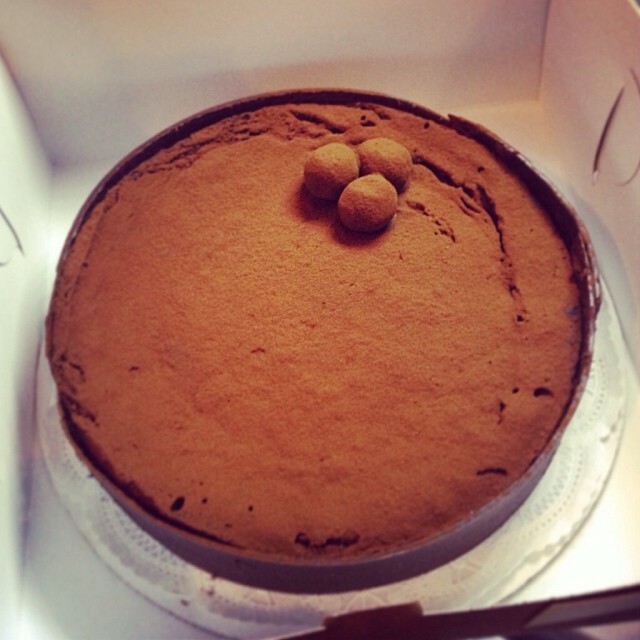 Have you tried Mount Bakery’s chocolate truffle cake? Then you already understand. But if you haven’t, trust me: run, don’t walk. You’ll also fall hard for Mount Bakery’s scratch-made pies, cheesecakes, tarts, and layered cakes. From carrot cake and tiramisu to peanut butter pie and fruit crisps, Fairhaven’s Colophon Café has something for everyone. They also serve up a nice selection of ice cream – dish or cone – as well as hot fudge sundaes, floats, milkshakes and malts. Tucked in next to the lower level of Village Books, right on the Village Green, Colophon has been serving its homemade goodies since 1985.